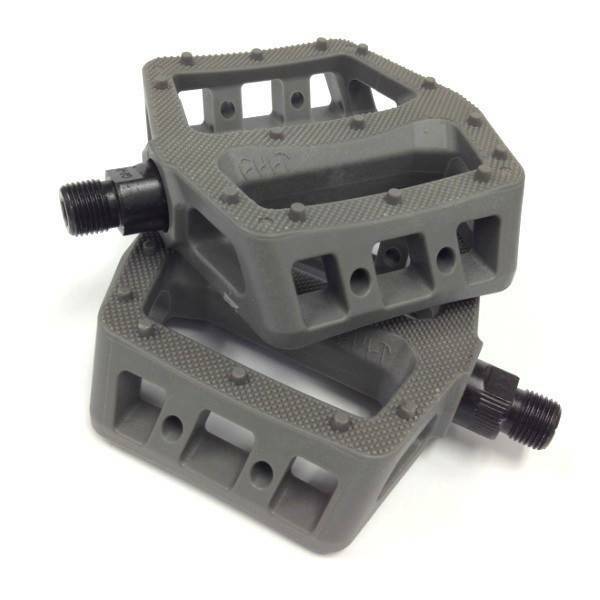 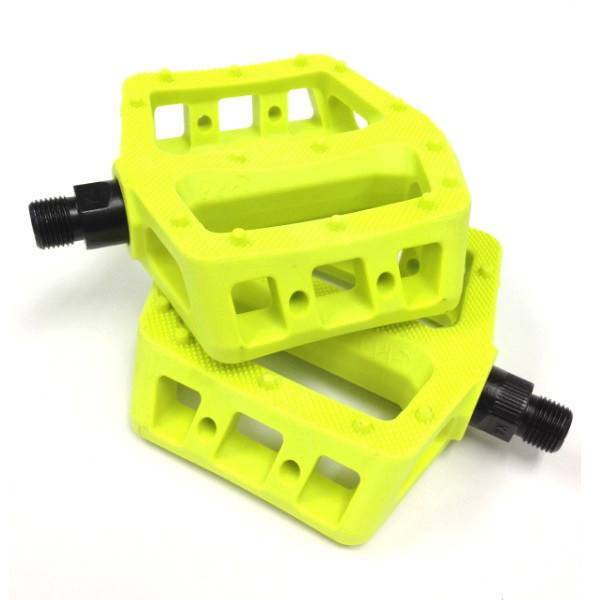 The Cult PC pedals are concaved platform pedals molded from a durable nylon composite blend to reduce weight. 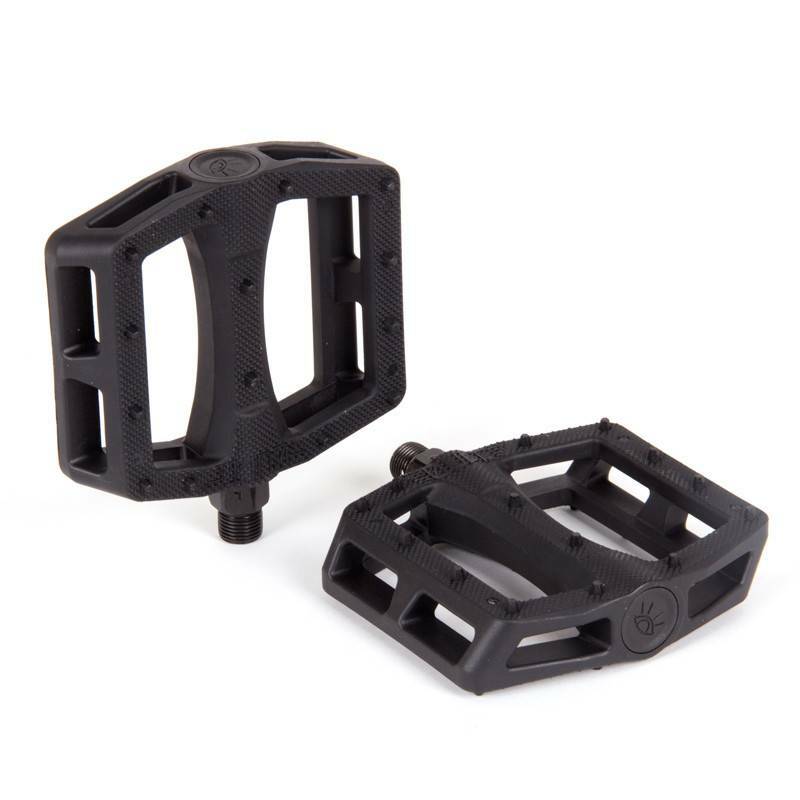 The deeply knurled surface has 14 molded pins per side for maximum traction in all conditions. 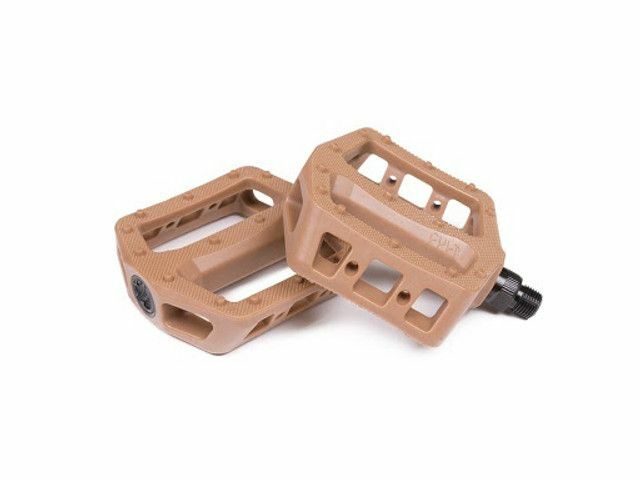 The pedal bodies spin on unsealed bearings and chromoly spindles. 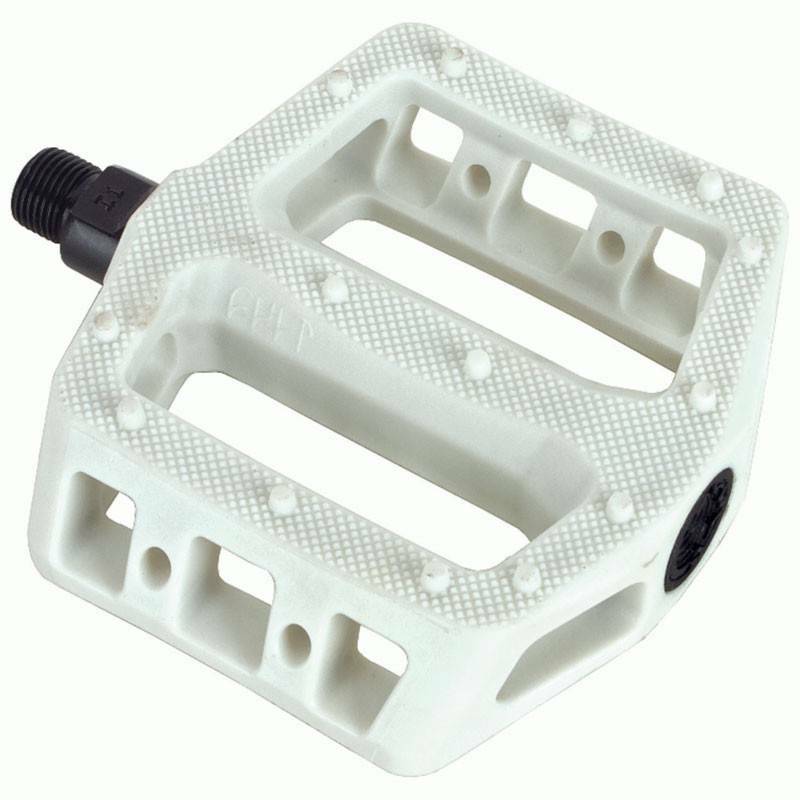 9/16"